Road damage and other hazardous conditions are common annoyances, but many of these annoyances can also cause serious crashes. Car accident cases involving hazardous road conditions can be very complex. Determining who is liable for your injuries is not always as straightforward as it seems. 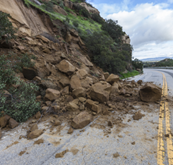 Government agencies are usually responsible for roadways, but, not always. Sometimes an outside company is contracted for road maintenance. And car accidents can occur in roads that are part of private property. When the government is responsible, it can be difficult to determine and prove which agency was responsible for the condition that caused your accident. An experienced auto accident attorney can determine who can be held liable for your injuries and how to move forward in pursuing compensation. In most cases you will need to seek compensation from the government agency responsible for the design, construction and/or maintenance of the defective roadway. This could be a federal, state, country or municipal agency. However, in some cases the construction company or the company hired to maintain the road may be held liable instead. Parking lot and parking structure accidents often fall under premises liability and the property or business owner is held liable. Some defective road conditions are caused by another party. For instance, when cargo falls off another vehicle and is left in the road, the driver carrying the cargo may be held responsible. If standing water was caused by a broken water main, you may still need to go after a government agency, but typically that would be the agency responsible for the water main rather than the agency responsible for the road. You do not need to figure it out on your own. An experienced motor vehicle accident attorney can determine who was liable for your injuries. Please, contact an experienced auto accident attorney to learn about your rights today.